If you liked this show, you should follow OCULUS RADIO. 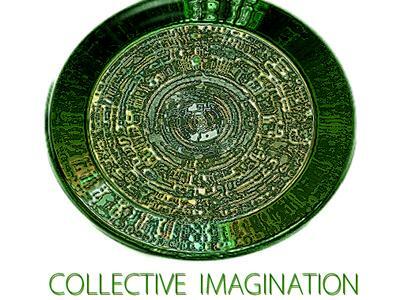 OCULUS RADIO is Proud to announce the debut show of 'The Collective Imagination'. Which will be running concurrently every wednesday night @ 8pm-11pm EST...(U.S) Check your Timezones. . Within this pivotal evolutionary cycle, the Collective Consciousness is regaining access to its organic technology, which has been used to fuel the Fear Paradigm. A technology if used correctly, can redefine and correct the imbalance that has been inflicted on the Collective Soul. So as we prepare to enter the Universal Mind, we must allow our imagining to increase to its fullest potential. We must offer our individual imagination to synthesize and integrate with the Collective Imagining. Only then will we as a divine species inherently manifesting our collective destiny. It was not available to us all until now, we know this. Our mandate must be recognized and fulfilled. Fear is not how humanity is supposed to interact with the earth. I hope we meet with you on our Sacred Journey. To bless you for your tenacious spirit. In your unbinding into this blissful momentum we all seek. We will leave this place, this space in time with a new understanding of the power of the Collective Soul. We will free each other to co-create with GAIA/SOPHIA on our journey home. Join Hosts Lisa M Harrison, Octavia McMahon, Michael Monk, Bob Wright, Bevan Wright and weekly special guests for 3 hours of indulgence, into creating the world we seek.